As this is our first newsletter of the year I would like to wish you all the very best for 2019 – I hope that you and your family have a truly wonderful year! We hope everybody enjoyed the Christmas / New Year break. It was wonderful to welcome back the children last week – they were all very excited and ready to start another term of exciting and engaging child-centred inquiry-based learning. In light of the flu season, please note that it is imperative that unwell children should not attend school. Parents and carers are reminded to be vigilant and to take your child’s temperature every day before sending them off to school. 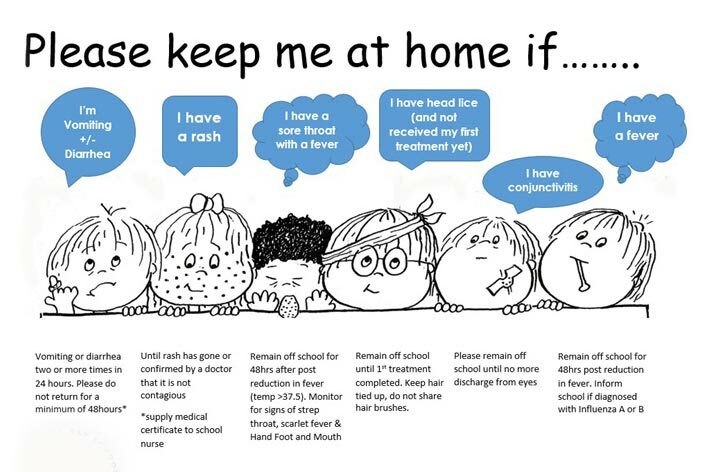 We have a “Zero Tolerance Policy” towards the spreading of illness at Hillside, and we will send children home if they come to school for example with a fever, runny nose or a continuous cough. These procedures are in place to protect to protect all members of the Hillside community. The Centre for Health Protection (CHP) of the Department of Health reminds members of the public, as well as the staff of institutions and schools, to maintain good personal and environmental hygiene as a preventative measure against influenza and other illnesses. We would also like to advise that Hillside had a visit from CHP representatives yesterday– Thursday 17th January 2019. The feedback we received from the CHP was very complimentary – both in regards to their observations made today of our practices and the preventative measures that we have put in place and also in the written communication/updates that they have received from Hillside since the commencement of this outbreak. On Friday 1st February 2019 we will be celebrating Chinese New Year at Hillside. As part of our celebrations, we have secured the services of an outstanding Lion Dance troupe that have a performance geared specifically for younger children. To assist in bringing this professional performance group into Hillside it would be appreciated if each child could possibly bring in a $30 cash donation (no cheques please). Donations can be placed in an envelope in the message book any day over the next two weeks and sent in with your child. Many thanks in advance for your support in securing this important cultural performance for our children. We will be conducting our play visit/interviews for our 2019/20 K1 intake on Friday 25 January 2019. Please note that this will be a school closure day for current Hillside students. All ESF Kindergartens will be closed on this day to conduct their K1 play visits/interviews. The reason for having a school closure day is to enable us to conduct the majority of our K1 play visits / interviews on one day, rather than spreading them over a three-week period as this causes major disruptions to regular classroom programs (as teachers need to be constantly released from teaching duties to conduct the play visits/interviews). This interview process has been extremely successful in recent years and we thank you for your understanding regarding the need for this school closure day. We have scheduled Peter Inglis, a professional photographer, to come on the 6th and 7th March 2019. We have worked with Peter in the past and he has been wonderful with the children. Peter has a selection of puppets and tricks along with lots of patience to make the children smile. The children are now developing their confidence and characters; I’m sure there will be lots of fun sessions throughout the day. Peter will be taking photographs of individual children, siblings and class groups. We would like to thank all parents for your support of the Theatre trip that was held on Monday. It was a great day and the production of “We’re Going On A Bear Hunt” was again of an extremely high standard and well targeted to the age group of our children. We believe live theatre is a great experience for the children and we thank you again for your support in enabling our whole school to have the opportunity to attend this wonderful show. The children are still “going on a bear hunt” and making their way through the river and mud in our role-play corner!